If you’re feeling hungover from New Year’s Eve champagne or had one too many boozy eggnogs over the holidays, let this January be a fresh start. Taking the challenge of going drying in January, or Dry January, i.e. having no alcohol for the entire month, is one resolution that might actually make you healthier. Cannabidiol is extracted from Cannabis sativa plant and doesn't produce a high. P.Volve is a workout that many V.S. models swear by before the runway. The Dry January campaign was started in 2013 in England and is now making waves on this side of the pond. Australia and New Zealand have also participated in similar challenges. There has been limited research on how quitting alcohol for a month affects your body, but a few studies have shown psychological and health benefits. In 2013, 14 staff members at the magazine New Scientist teamed up with researchers at the Institute for Liver and Digestive Health at the University College London Medical School to investigate the benefits of Dry January. The staff members, who all considered themselves “normal” drinkers, underwent baseline testing with blood samples, liver ultrasound scans and questionnaires. For the next five weeks, 10 of them stopped drinking and four drank their normal amounts. (STOCK PHOTO/Getty Images) Women are pictured with wine glasses in an undated stock photo. 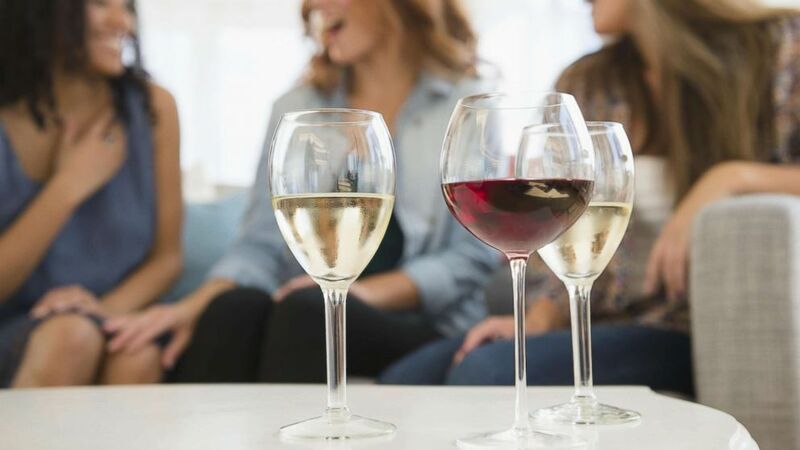 The people who stopped drinking had lower levels of liver fat (which can be a precursor to liver damage), improved blood sugars and lower cholesterol than they did at the beginning of the month. They also reported improved sleep and concentration. In contrast, the four people who kept drinking saw no benefit. 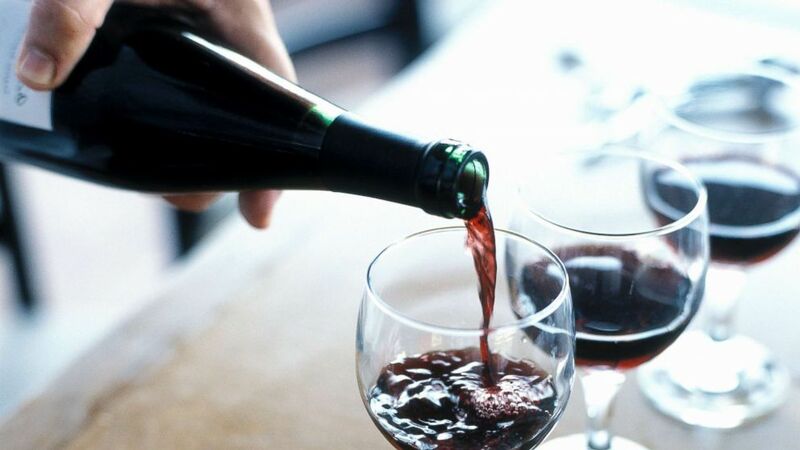 It might seem daunting to stop drinking alcohol for a whole month. Between cocktail hour after work, beers while watching the football game, and that relaxing glass of wine after a long day, our culture sometimes seems to revolve around alcohol. But the 2015 Health Psychology study found that 65 percent of people successfully completed the month of abstinence. Of course, the longer you can stay away from alcohol, the better. People who drink excessive amounts of alcohol -- more than seven drinks per week for women or people older than 65 and more than 14 drinks per week for men younger than 65 -- are at higher risk of death and many medical conditions. Excessive alcohol use is the third-leading cause of preventable death in the United States, according to the U.S. National Institute on Alcohol Abuse and Alcoholism. People who drink unhealthy amounts of alcohol are more likely to have high blood pressure, heart disease, liver disease, nerve damage, infections including pneumonia and even certain cancers like breast cancer. (Joe Vaughn/Getty Images) A person is pictured pouring red wine. Drinking excessive amounts of alcohol is also associated with a number of psychiatric conditions, including depression, higher rates of suicide, anxiety, post-traumatic stress disorder, eating disorders, insomnia and other substance abuse disorders. Dr. Fulton Crews, the director of the Center for Alcohol Studies at the University of North Carolina at Chapel Hill, said attempting to stop drinking for Dry January is a good opportunity for people to see if they have an actual addiction to alcohol. “Many people are in denial about their drinking and hazardous drinking, and if they try to stop and are not able to, it really points out to them their weakness," Crews told ABC News. "If they can’t stop for a month, they would realize that they have a problem. "Either that or they do it, and they realize it's not that hard for them," said Crews, who described Dry January as a "good idea." For those individuals who drink alcohol within the recommended limits, Crews said he is "not sure there would be any observable benefits." "I don’t see any clear potential for a moderate drinking person to stop drinking," he said. If you do choose to participate in Dry January, Crews shared his advice for sticking to the program. “Try to avoid temptation by maybe putting all the alcohol out of the house," he said. Editor's note: This piece was originally published on Jan. 3, 2018.